Illustrator and content creator, specialising in the children’s market and content marketing for creatives. Hire me to create characters, activity books, marketing strategy and social media content. Over on the Northern Bird Designs blog I’m sharing the answers to some great questions that have been asked in my Skillshare classroom. ⁣⁣Today’s question is about product photography for digital goods. If the products and services that you provide are digital based, how do you photograph them? Is there a way to create flatlay photos when you are a website designer, logo creator or other digital services provider? Over on the Northern Bird Designs blog I’m sharing the answers to some great questions that have been asked in my Skillshare classroom. 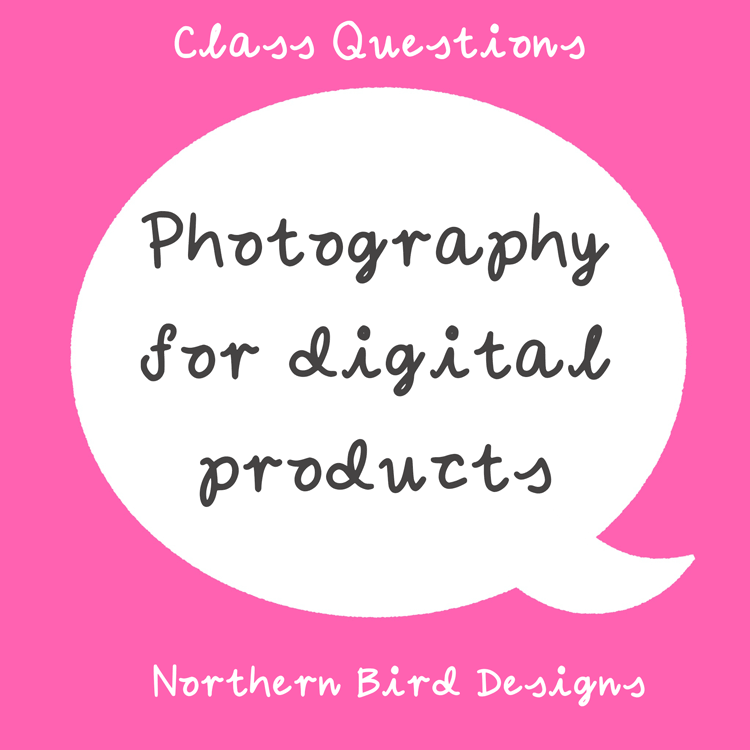 Today’s question is about product photography for social media. Just how do you get the right look for every platform out there? Head on over for some top tips on getting your social snaps up to scratch! There’s been a few questions popping up in the Facebook groups that I’m in enquiring about Pinterest and if it was worth it for artists and designers. It’s a definite yes and a whole load of high ten emojis from me! So let’s say we have Betty, an illustrator who adores florals and paints flowers in a loose watercolour style. She has numerous prints for sale on her website shop but needs to drive traffic there and get eyes on her shop products. Betty has a Pinterest account, uses it frequently to source ideas and has it set as a Pinterest for Business account so that she can check in on those important analytics. She’s looking to now use Pinterest to attract new visitors to her site. Where does she start? 1. Have clear board titles and think about those keywords for SEO. As with any text on the internet search engines will show you some love when you use keywords in your titles and descriptions. As a creative Pinterest can be a great source for inspiration but if you are using it to promote a business you need to step into the shoes of your audience, and think about the topics that they would be searching for. Betty has a board with the title of her business but she adds the keywords “illustrator” and “surface pattern design” to the title to increase her chances of coming up in the search results for those terms. As an illustrator she has boards for research that she keeps as secret so that only she can view them. In order to attract people that might want to buy her floral art prints Betty can create a public florals board, pinning photographs of bouquets, home inspired floral pieces such as wallpaper designs or textiles, fashion or book covers. Each of these could even become boards of their own if that’s an area that Betty wants to explore with her art work. Amongst these pins she also pins her art prints from her website to her florals board that are similar in style to her other pins. In time the board will gain followers and the idea is that people interest in that niche will click on her shop pins. 2. Create strong board descriptions, again it helps with SEO & keywords. Just as important as the board titles are the board descriptions. Search engines will pick up on those all important keywords so make your descriptions juicy and relevant. Looking at some of her boards Betty has either no description or a simple “Love these!” caption. It’s time for her to think about her audience. Let’s go back to that florals board. Betty has found that she’s ended up pinning 20 or so tropical florals with dark backgrounds. She changes her “Love these!” caption to something with more detail, keeping in mind her target audience. The keywords that Betty hopes will attract her the right audience are rich, painterly, florals, dark tropical, surface pattern design, and home. 3. Pin at least 10 images to a board making sure the links that the images go to are correct and not spam. There’s often the risk when you go on a pinning spree of the odd post being a spam photo. That’s where another pinner has used a popular photo to gain click throughs to a website that has absolutely nothing to do with the content of the image or accompanying description. In my experience it occurs most often with tutorial or DIY pins, promising how to make the latest crafty trend, only for it to go to a spam site. When Betty comes across any of these she simply clicks on the three dots that accompany the misleading pin and reports it to Pinterest. Pinterest is usually very good at weeding out the false pins, and you may find that you occasionally get an email from them saying that a pin has been deleted from your boards due to copyright or spam. This is no reflection on you but on the original pin maker, so worry not, and continue with your good quality pins! 4. Have a mix of pins from your own website and pins that will interest your target audience. Nobody likes the pushy salesperson routine. We are constantly exposed to advertisements and sales pitches on social sites, in our email inboxes, on TV and in magazines. Take Pinterest and use it for good, as a service to help others. Yes, I’m starting to sound like a Jedi master now but the more interaction and community engagement there is the better when it comes to marketing your product or services. Betty starts to think about what service she provides. Her main focus is to sell her floral art prints. She sets the intention that her art solves the problem of someone wanting to brighten up their home by bringing nature and life from the outdoors, indoors. Her target audience is someone who loves the rich, floral wallpapers but simply can’t afford to decorate a whole room. Betty offers the solution of unique and affordable art prints that can be framed on a wall, adding interest and showing off the client’s personality. So back to her Pinterest board on florals she goes, thinking about where her art prints could sit in a client’s home. She pins from interior design boards, home textiles, interior magazines and wallpaper manufacturers. Scattering in her pins to her website shop and the floral art prints she has created a mood board reflecting the personality of her ideal client. 5. As with any visual platform quality photos are a must. Keep your photographs clear, the correct size and interesting. Fuzzy, dark photographs with no thought put into them will not encourage anyone to explore further in what you have to offer. Don’t be scared of photography and set up a regular time in your week to have a photoshoot session. Begin the routine now and it will soon become second nature. Check out my class on Skillshare Creating Flatlay Photographs (free 2 month trial included with link) for a full walkthrough on how to set up a shoot using just your camera phone and objects from around your home to tell your creative story. No fancy equipment required, just some good natural light, interesting items and your own creativity! When Betty has a product to promote or a blog post to share, she would just have a standard sized photo or the social media square format from posting to other platforms like Instagram. For a photo on Pinterest to look right and not cropped, she decides to use a mobile and desktop app called Canva. There are also a few social scheduling apps and photo editing apps that provide re-sizing options. These apps will save you time and your sanity in exchange for watching or reading a quick tutorial on how to use them. So why should I invest my time in Pinterest? With the amount of digital marketing options and social media platforms that are out there it can easily be overwhelming. If you’re happy sticking to one platform, do what feels best for you. It’s worth looking into the schedulers and planners that can help you to manage multiple social accounts. There are free and paid plans out there, all offering various levels of support from pushing posts from Instagram to Pinterest, to repurposing old pins over a set time to turn them into evergreen content. I can only speak from my own experience. I get 60+ visits a month via Pinterest to my alternative embroidery Etsy shop Scavenger Annie that has been closed for the last three years. I’ve not done any pinning for it since I shut the shop and the traffic comes from old pins that are still doing the rounds. Having that much traffic from pins that I haven’t done any marketing efforts with for over 2 years shows that the lifetime of a pin can be very long in comparison to Instagram post for example. People keep on pinning what they love, they like to share the joy. Just imagine what happens when you put the effort into Pinterest to get traffic to your shop or website! If you have any questions, thoughts or any tips that you’ve found to be helpful in your Pinterest adventures then please let me know below. Good luck and happy pinning! 12 Days of Christmas for writers - successes of 2018 as a writer & illustrator.